French president Nicolas Sarkozy and Toulouse mayor Pierre Cohen are at loggerheads over where to bury gunman Mohammad Merah. President Nicolas Sarkozy said Thursday he wanted Islamic spree killer Mohamed Merah to be buried in France "without argument". His remarks came after Algeria refused Merah's body and Toulouse mayor Pierre Cohen raised objections to his being buried in the French city where he committed his crimes. Merah killed seven people – three French paratroopers of Arab extraction and four Jewish civilians – in and around Toulouse in three separate attacks. Cohen said burying him in the city would be "inappropriate." Merah was killed by a police sniper as he leapt from a window while firing on onrushing police special operations personnel seeking to end a 32-hour standoff. Three police officers were wounded in the initial exchange of fire that precipitated the long siege. "He was French. 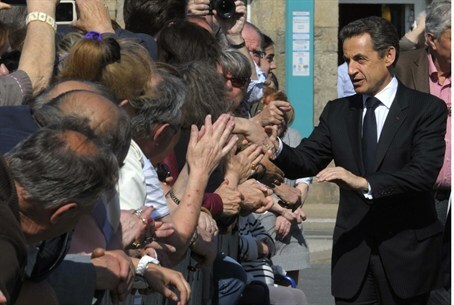 Let him be buried and let's not have any arguments about it," Sarkozy told BFMTV news channel in a bid to put the tragic episode that has eclipsed his re-election bid to rest. "I've said what I think of Mohamed Merah, who behaved in a monstrous way," Sarkozy said of the Al-Qaeda-inspired gunman. Sarkozy was responding to Cohen's call for Merah's burial at the southwestern city's Cornebarrieu cemetery to be delayed a day pending a decision from the relevant authorities on whether it should go ahead.